Food is a huge industry and with every passing day, the competition is getting steep. 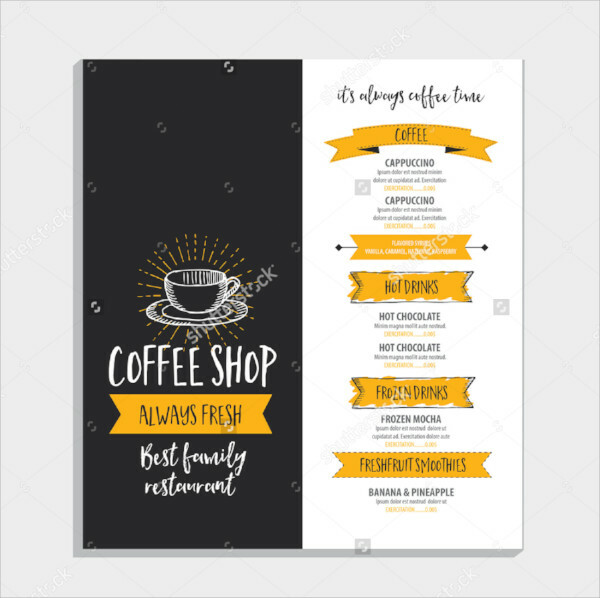 In this scenario, a normal flyer cannot do any wonder so you would require having a flyer that turns heads easily and puts you one step ahead of your peers. 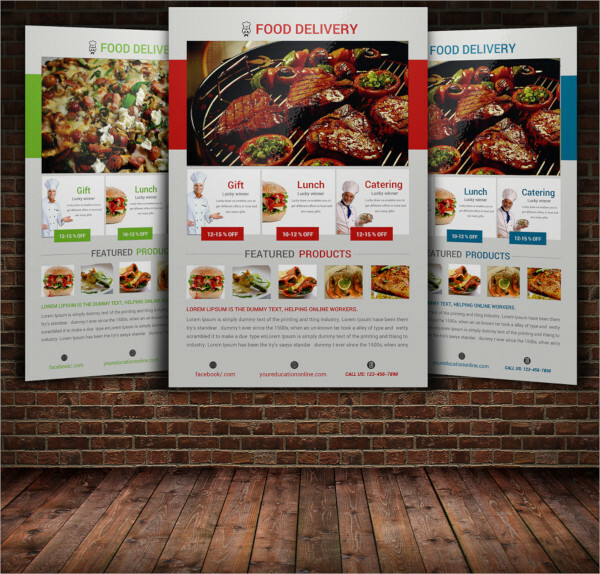 The following creative food flyer templates are designed keeping that in mind. The layered source files are provided in the bundle of the purchase most of which are in EPS and PSD format. They are vector in nature and can fit anyplace and size. The designs are world-class and very eye-catching. You can also see Lunch Flyer Templates. 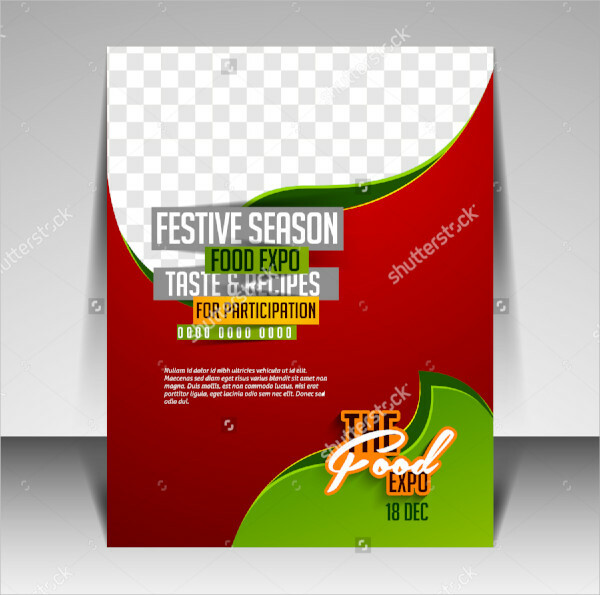 This comes in a pack of three unique designs to highlight the habits of healthy food and the amazing fonts are provided in the pack with the layered editable source file. It is best for food-related companies to promote products and eating habits. 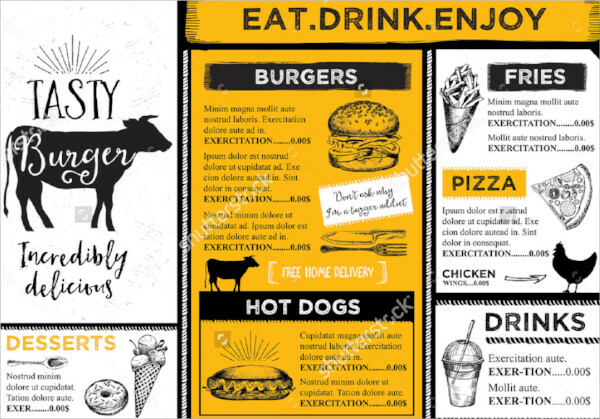 This is a tailor-made flyer for food delivery companies with amazing design and layouts to describe the services in separate layout to make everything look compact. This is best fitted for restaurant and coffee shops with a clean design that attracts the mind of the potential customers. 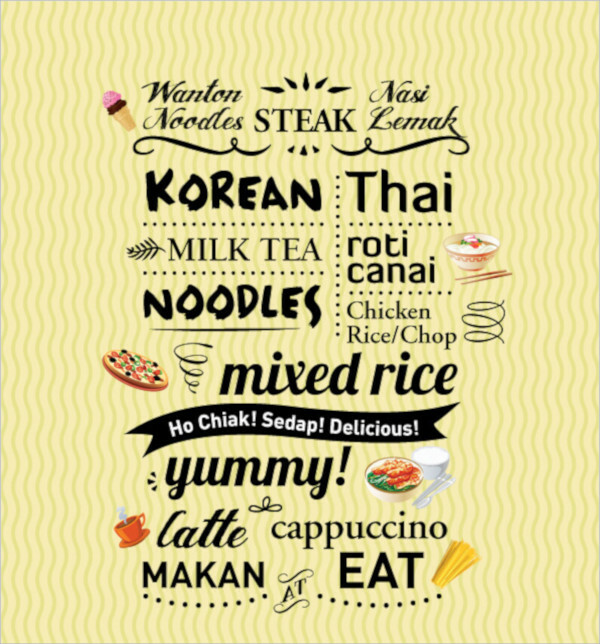 The menu can be well set in the flyer itself. 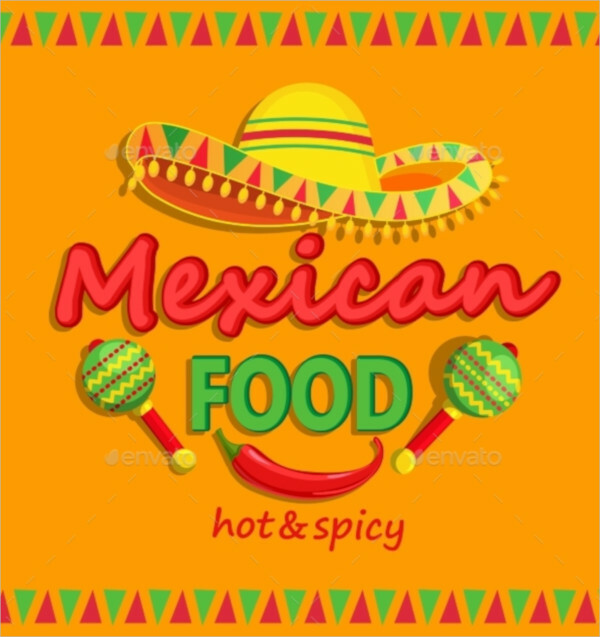 This is specially designed keeping in mind Mexican food festival and restaurant. The color combination and the creative design correspond to Mexican culture and traditional food habits. You can also see Bake Sale Flyer Templates. 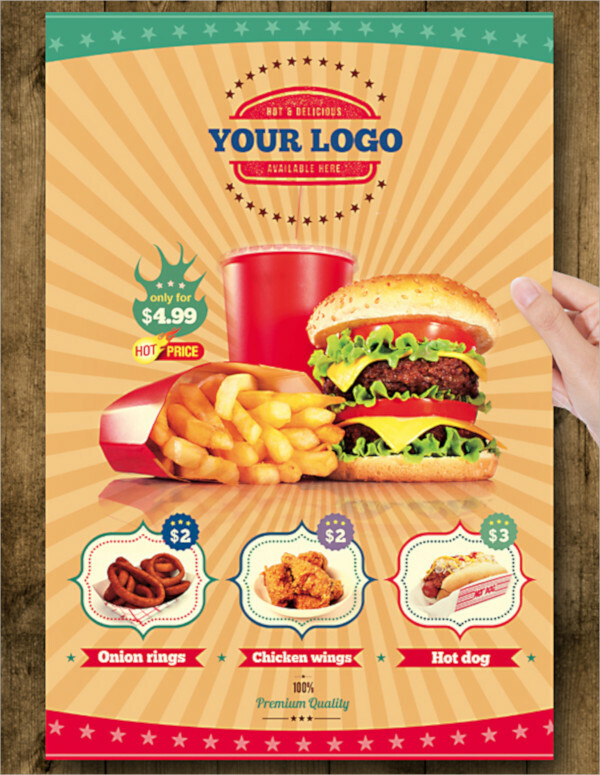 This is an amazing flyer template for fast food where the images of the items can be show with the rate in a creative manner. The cover is awesome to look at and would increase your appetite. 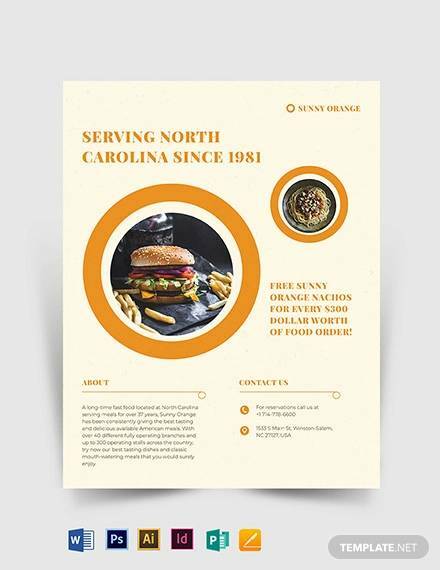 This is a retro looking food flyer template representing fast food and restaurant with contrast color that might just work for some. It has minimum design and colors. 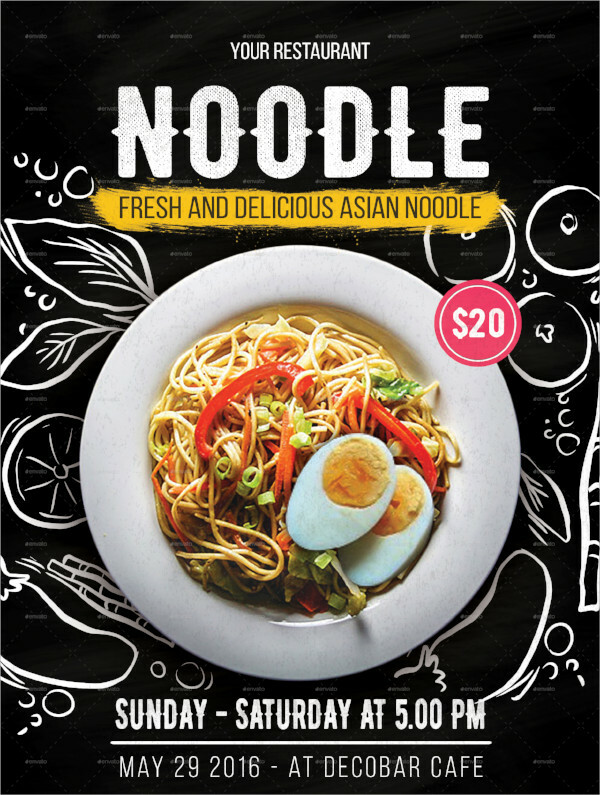 This is a very highlighting food template and it comes in a bundle with fully editable nature of the source file and the cover looks stunning and has standard flyer size. This is specially designed for food catering service companies to reach out to the potential customer with awesome designs. Its size is 6.25 x 4.25 inches with bleed included. 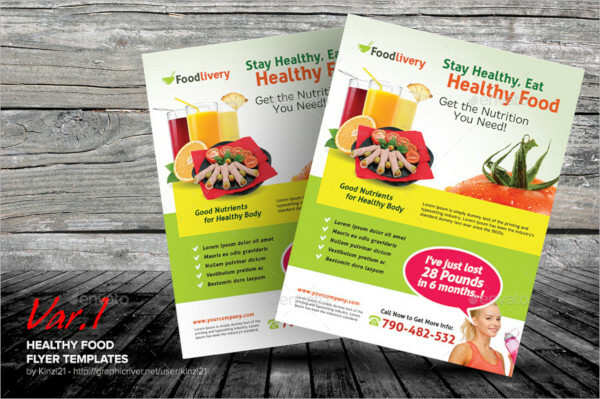 This is a color heavy food flyer template and the colors are very eye-catching and deep. Separate place is left to insert relevant images in the upper part to complete the design. 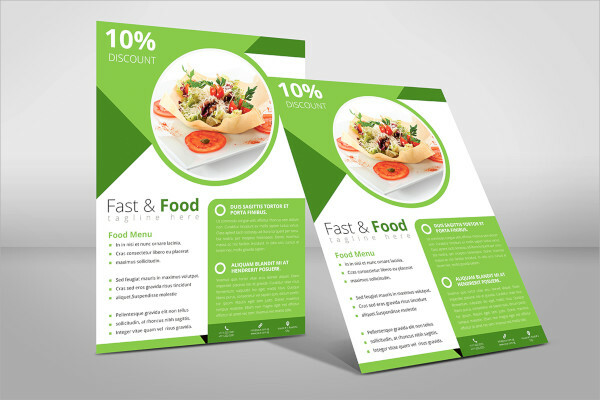 This is a simple and elegant looking food flyer which is divided into two parts for better highlighting properties. 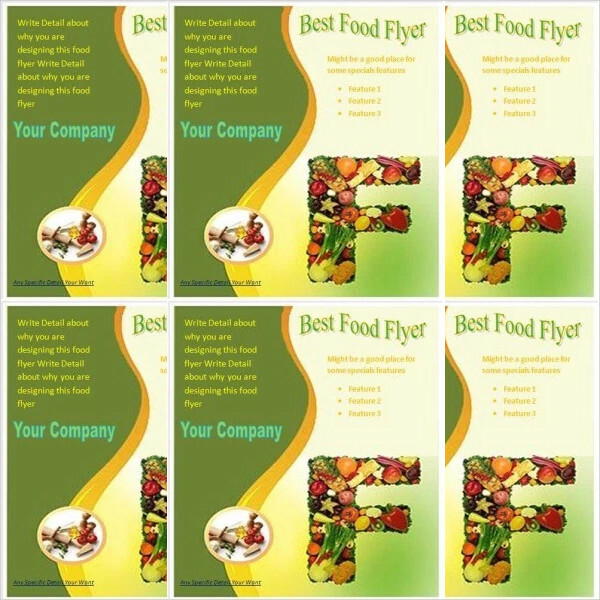 It is best suited for companies starting with ‘F’ as an F logo is there made up of foods. You can also see Picnic Flyer Templates. 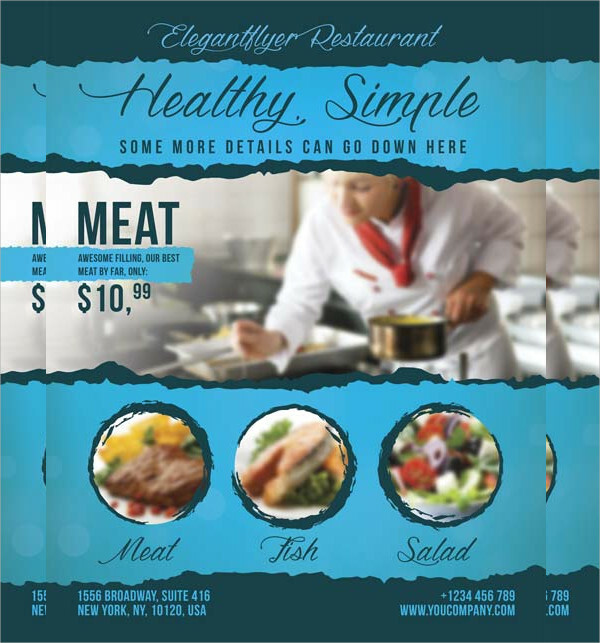 This is a vector food flyer template with clean design and layouts for everything. It is made up of white and brown color combo but it can be changed as per your wish. It offers 3 variations as well. 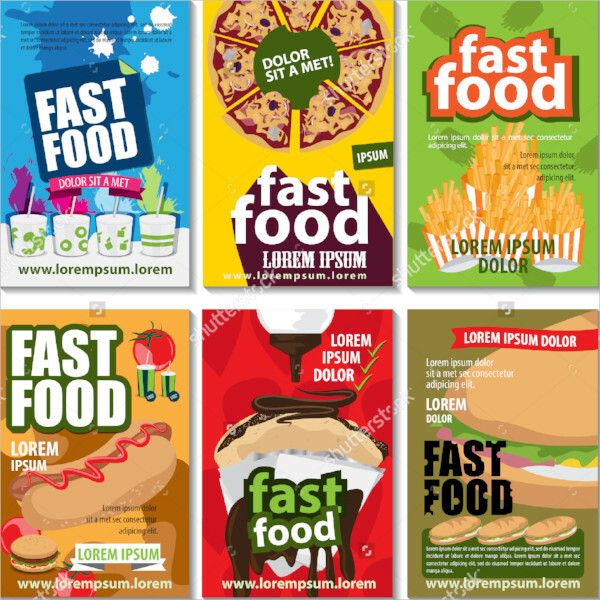 This is a world-class food flyer for fast food companies to attract the foodies immediately with some awesome objects with price tags and beautiful captivating background. 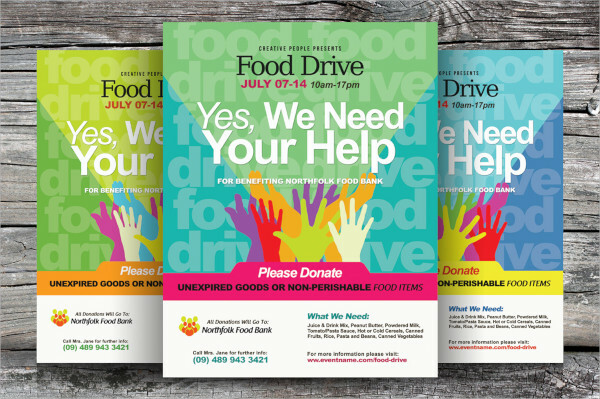 This is a colorful food template specially designed for food campaigns for noble causes. The color combo is very nice and fascinating. The resolution is high and delivers the message well. 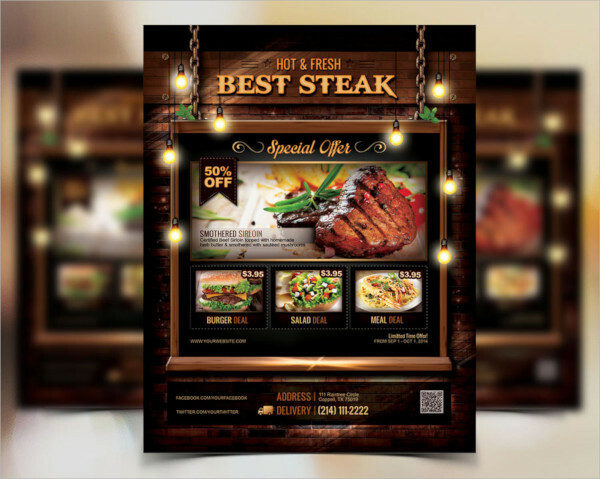 This is a dark food flyer template that looks simply stunning and this is what makes a company look premium. It has several graphical effect and the layouts are well planned to make it compact. 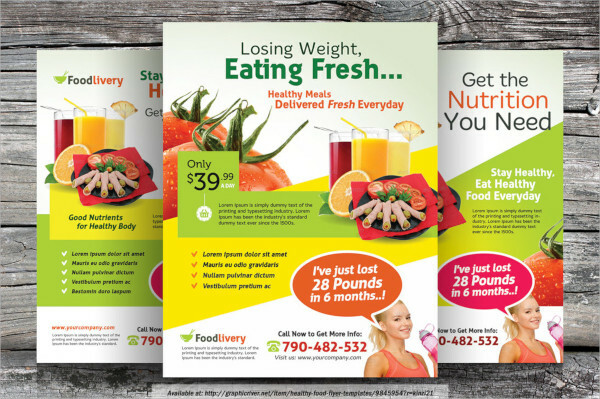 This is a creatively design food flyer template with a model showing how healthy food can reduce weight. This is good for food campaign and for healthy food sellers. This is specially designed for food delivery and restaurant with home delivery services. 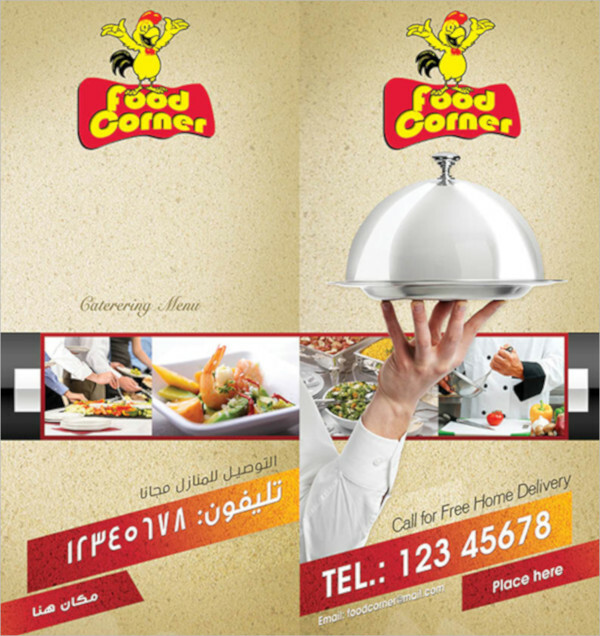 The cover is clean with name and contact and while the menu can be written in the back side. This is a very well-organized flyer template with high resolution showing healthy food habits with nice color combination and amazing shapes. It makes your restaurant high quality. 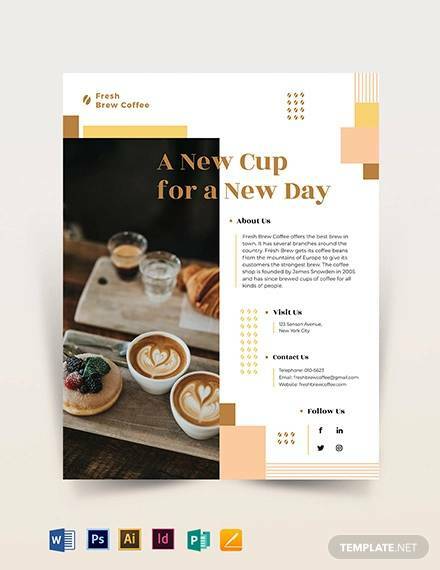 This is a free restaurant food flyer template with amazing color scheme and well-planned and structure to highlight the main contents of the menu and nice background image. This is designed on black background to highlight everything easily. The outline designs are amazing and it is 100% editable with Photoshop. All the images are included in the bundle. 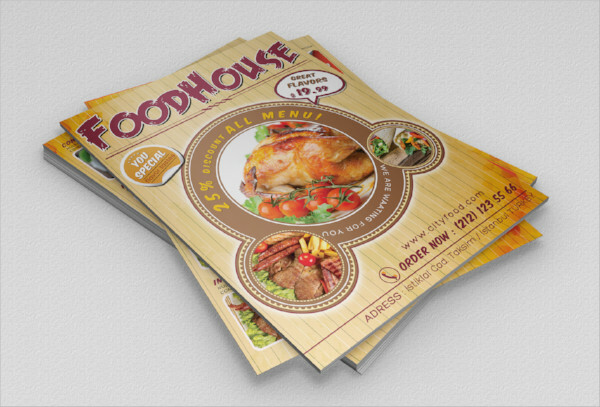 It is a collection of 6 different food flyers with large fonts to highlight the company’s name or services. The designs are artistic and vector in nature with fully editing capabilities. 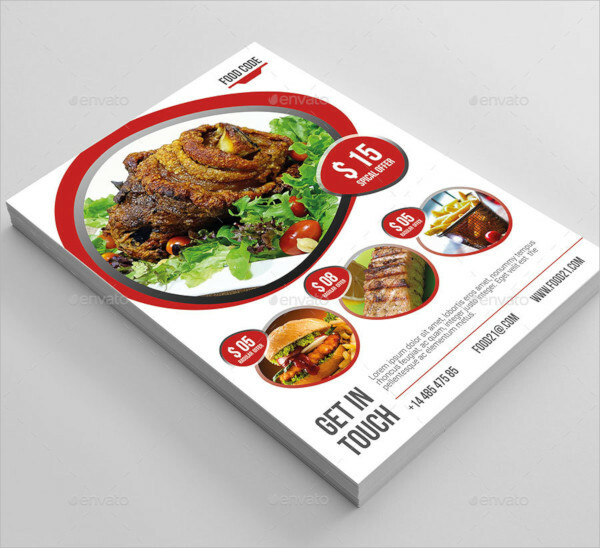 All the amazing food flyers designs that are listed above are the best you can ask for to attract the potential customer instantly and take your sales figure to the next level. They are well-structured and the variety will make it difficult for you to select the best design for your company.